We’ve all seen the bad example, the SUV with heavy bumpers front and rear and a full compliment of sliders and armor. 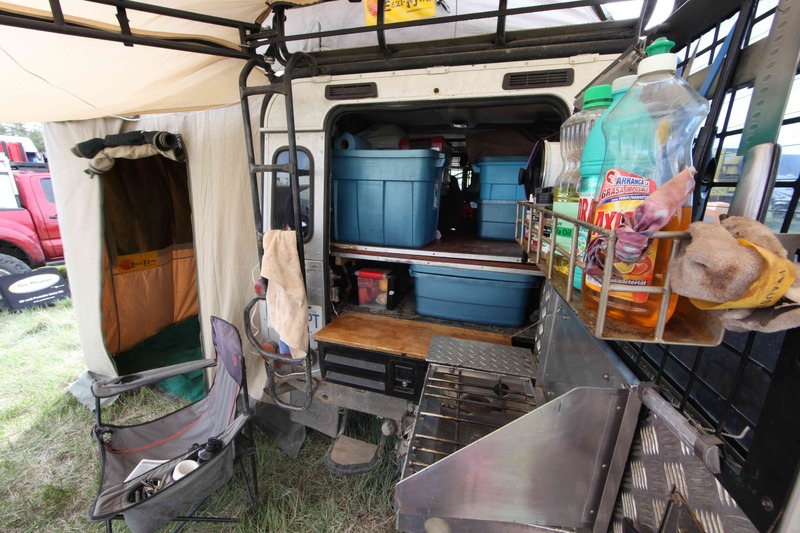 Then there’s the extensive drawer system in the back, a loaded fridge and dual batteries under the hood. 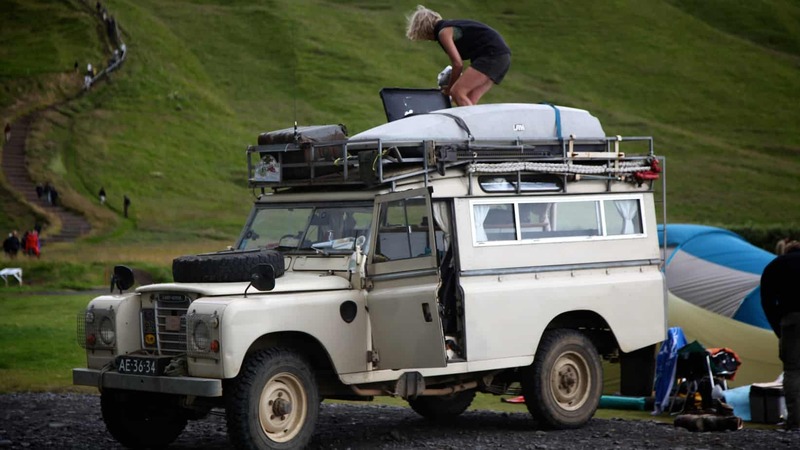 To top it off, literally, the heavy roof rack shoulders 200 pounds of fuel, water, and an assortment of Pelican cases that even empty weigh a ton. As the truck lumbers down the trail swaying side to side like a drunken hippo you comment to yourself, “That can’t be good.” You’re right, it isn’t. Gross Vehicle Weight Ratings (GVWR) are oft dismissed as if they don’t pertain to anything significant, certainly not to the overlander. 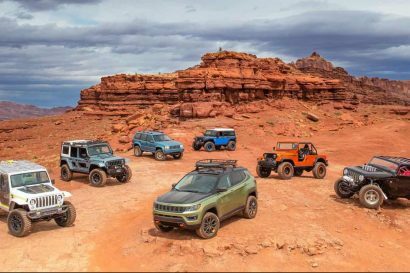 They may in fact be more important to the overlander than the daily driver, but many don’t heed these numbers and in doing so, tiptoe close to the edge of disaster. So what is GVWR? It’s the maximum allowable weight of the vehicle with occupants, luggage, and the weight of all the accessories you’ve bolted to the vehicle. There are actually two important numbers to consider when assessing vehicle weight limits. There is the overall weight rating which is determined by a host of things like the strength of the chassis, suspension, and brakes as well as the overall stability and performance of the vehicle at those maximum loads. There is also a rating given to each axle. Gross Vehicle Axle Ratings are not as widely discussed, but they are important all the same, particularly when you contemplate just how much weight is applied to the aft end of most trucks and SUVs. To illustrate just how easy it is to max out the available payload of a truck, let’s use the Toyota 100 Series Land Cruiser as an example. It’s a vehicle with a rather large payload capacity at 1,470 pounds, but I bet we can max it out in short order. That comes to just under 1,300 pounds. For the sake of argument, lets deduct a little for the replacement, not just addition, of the bumpers and round it out to a cool 1,200 pounds. That’s an additional 150 pounds, and I’d have to say it’s a modest number. 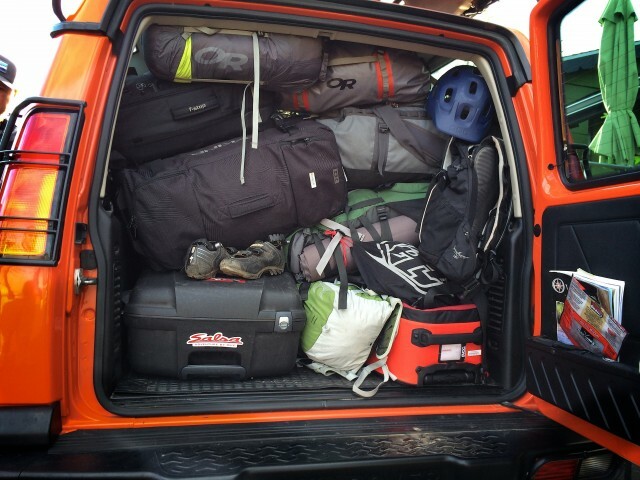 I’ve seen how many of you pack. If we include two grown adults at a combined weight of 350 pounds, that puts us at a total of 1,700 pounds, or a near 300 pounds over the maximum allowed weight. 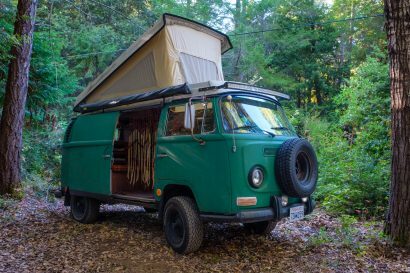 For some overlanders, they may even opt to hitch a trailer to this beast. While the total weight of the trailer doesn’t get added to the GVW, the tongue weight sure does. When you load a vehicle near its maximum weight capacity, you begin to degrade the performance of the brakes, suspension (if not properly addressed with aftermarket components), and the overall handling of the vehicle. It’s often difficult to adequately distribute this added weight, with the result being a vehicle with a compromised center of gravity. Read that as, “roll-over hazard.” The extra heft also decreases fuel economy, increases the likelihood of component failure, and shortens the service life of tires and other mechanicals. Now let’s get down to the nitty gritty. Exceeding your GVWR is if anything––illegal. Imagine our hypothetical build after a high speed roll-over. With Kermit chairs, jerry cans and Pelican cases scattered across the road, a keen-eyed crash investigator starts adding up the pounds. Before you know it, you are at fault regardless of the actual details of the crash. But all of that shouldn’t matter. Busted axles, crushed mpg, these are things worthy of avoiding, but there is one primary reason to not exceed your GVWR. Doing so could hurt you or someone else. That’s reason enough to count the pounds.